As we all know, there is a variety of reasons for going vegan. Some are environmental related, some are animal-rights related, and some are health related. For those of you who are interested in learning more about the latter, today's post is for you. How Not to Die by Dr. Michael Greger is the bible when it comes to plant-based nutritional facts. So, in a nutshell, what is this book about? [Sidenote: There is so much information packed into this book, we plan on writing individual posts for specific chapters of the book So for today, we'll treat this post as an introductory post]. The book is divided into two parts. 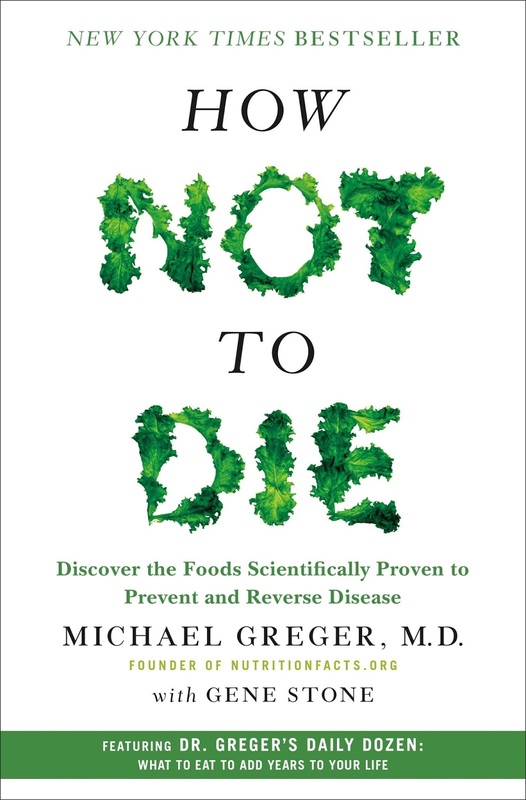 The first section goes through the leading types of diseases and cancers and educates readers on how each can be prevented or reversed through plant-based eating, rather than medication. The second section goes through the 12 main food groups (exercise is included in this too) that we should be consuming daily. This checklist, referred to as the Daily Dozen, includes beans, berries, other fruits, cruciferous vegetables, greens, other vegetables, flaxseeds, nuts and seeds, herbs and spices, whole grains, beverages, and exercise. If you're switching over to a vegan diet, it might initially be hard to tell what exactly you should be eating and how often you should be eating. Do you go with salad three times a day? Are processed snacks still okay if they're technically vegan? [Side note: The following snacks contain no animal products: Lay's potato chips, Ritz crackers, Oreos, Jello instant pudding, Pillsbury crescent rolls, unfrosted pop-tarts, and the list goes on. Scary, huh?]. Is there such a thing as having too much of a certain healthy vegan food item? This is where Dr. Greger's Daily Dozen really comes in handy. Keep track of what you eat on an average day, and see what your diet is lacking or what should be cut from your diet. To make things even easier, he has an app that's free to download. The last link we'll leave you with is NutritionFacts.org, which is Dr. Greger's personal site. We will warn you that the amount of information on the site can be overwhelming, but at the same time, it's easy to find specific articles or videos if you know what you're looking for. Bookmark it for now, and check it out when you have a free minute.